SANTIAGO, Chile (CNS) — The residents of La Legua, Santiago’s most notorious community, are never sure when the gunfights will begin. Resident Maria Escalona Devia said as a result, people live in fear. Catholic leaders of the Archdiocese of Santiago are trying to change that. 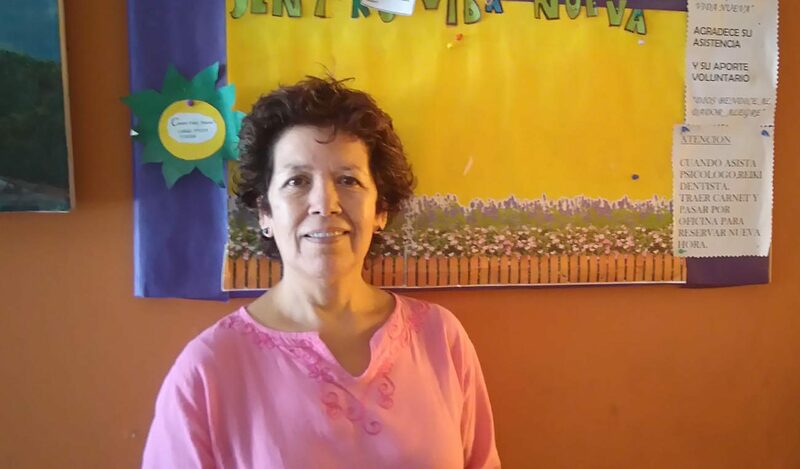 Escalona works at Centro Vida Nueva, a local church-run health center. It has dentists, psychologists and free medicine, and about 600 people visit each year. “Stress and depression are the biggest problems here. Often people just want to be hugged and listened to,” said Escalona. When the Chilean bishops visited Pope Francis for their “ad limina” visits in late February, Auxiliary Bishop Pedro Ossandon Buljevic of Santiago asked the pope to send a message to the local priests. So Bishop Ossandon recorded a video on his phone, a message from Pope Francis urging the priests to carry on with their fight against drugs and to help the children living in those neighborhoods. That’s something that French Father Gerardo Ouisse has been doing since 1986, when he arrived in Chile during Gen. Augusto Pinochet’s military dictatorship. 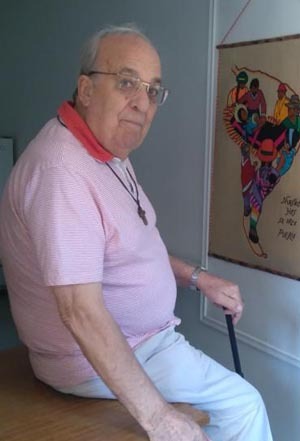 Fifteen years ago he joined the parish of St. Cayetano in La Legua. Father Ouisse said he thinks the problem is a mix of geography and culture. La Legua is a ghetto sitting in the middle of four of Santiago’s main streets, making it a perfect place to deal drugs. About 15,000 people live there; most of them earn minimum wage, with little education and prospects. “The drug dealers took advantage of that when they arrived back in the 1980s to trade untreated cocaine and other types of drugs. They were like the ‘padrinos’ or godfather figures of the neighborhood. If someone was ill or needed a loan, they would take care of it, and so the community became reliant on them. These days someone can earn around $45 dollars a day for keeping two to three kilos of drugs for them. There is nowhere else they can make that kind of money,” said Father Ouisse. Over the years, Father Ouisse has needed police protection because of death threats, and during one religious procession he was forced to wear a bulletproof vest. Father Ouisse is well-respected in the parish. His community center, which is open from 7 a.m. to 11 p.m., has never been robbed. And in the past, drug dealers have gotten in touch with him to celebrate a Mass when people have been killed. He said he believes the key to the future is respect. For the past 16 years, the community has had police vehicles parked on almost every corner and street patrols walking the neighborhood. But Father Ouisse said he does not think that is helping. The priest said part of the solution is to give young people an alternative way of life. His runs the health clinic and a dance school with 300 students. Four days a week, the parish offers lunch. “We can have around 110 people coming to eat here,” said volunteer Margarita Valenzuela Verdugo, 72. “We give them traditional Chilean dishes like lentils, beans salads. “Sometimes fights break out. But I have worked here for the last 15 years and I know how to keep them under control,” she added with a smile.